Guided walk named "Revived Past" will take place on 2nd June 2015 at 11.00 am. It is organized by the students of secondary school of Business and Tourism Varaždin and Parkovi Inc. Since 2003 Varaždin Municipal Cemetery has been a member of ASCE (Association of Significant Cemeteries of Europe), an association which marks the Week of Discovering European Cemeteries each year. Parkovi Inc. has included the cemetery into European Cemeteries Route project, involving 179 cemeteries in 22 European countries. This year, as participants of this great European project we are looking forward to co-operating with students at Secondary School of Business and Tourism Varaždin, who will introduce us to Varaždin Municipal Cemetery and its most famous "residents" in a unique way. Young future tourism workers want to present their city, its residents and visitors with a new tourist product, developed in the framework of the Revived Past project supported by the Croatian Ministry of Tourism. For several years in a row the Ministry has been inviting secondary school students to submit proposals in order to strengthen the competencies of vocational education through the development of projects for tourism. Business and Tourism School Varaždin is taking part in calls for proposal with its projects for the third consecutive year aiming at two targets; to familiarise students with work on projects and to encourage them to think about the developments in the tourist offer of their region. 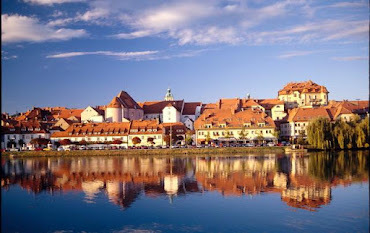 Thus, in 2013 they created an itinerary for exploring Varaždin County on bicycle in four days, issued in the form of a DVD and translated into English and German, in 2014 together with the School of Electrical Engineering as a partner they developed an application for mobile phones guiding nature lovers along a virtual educational trail from Trakošćan castle to the top of Ravna gora mountain, and this year they decided to devote their interest to the tourist offer of the city of Varaždin and one of its most visited attractions - the cemetery. In an innovative and imaginative way, typical of young enthusiasts, they will walk you through almost two-hundred-years old history of Varaždin cemetery in order to revive memories of natives of Varaždin who have left their mark in the life of the city, thereby plotting it on a map of Europe long before Europe realised this city belonged there. As part of their project, the students in year 3d class also work on the promotional video of the Varaždin Cemetery, which will also be translated into English and German. So, if you are willing to take a walk during which you will find out how Vatroslav Jagić, Ivan Padovec or Miljenko Stančić indebted Varazdin and its inhabitants, we are glad to invite you to join us in reviving the past on 2nd June 2015 at 11:00. The walk will start from the north (main) entrance to the cemetery. *To see the promotional video of the Varaždin Cemetery, made by students, and some photos of the event click HERE.